Remember Danny Wilson? He was one of Roy Hodgson’s first signings as Liverpool manager, although the deal had actually been put in place by his predecessor Rafa Benitez. The Scot failed to reach a level anywhere near high enough to play for us though, and was eventually sent back to Scotland. He did however have the privilege to train alongside Luis Suarez at Melwood and was speaking about it to Rangers TV, claiming the Uruguayan is the best player he’s played alongside. 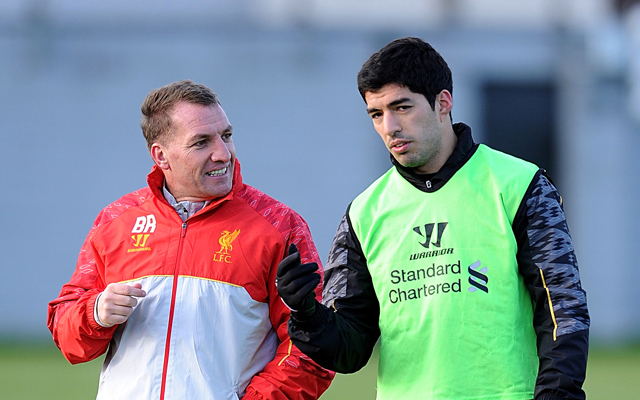 “Every day Suarez trained and you see he’s one of the best now, so it’s got to be him. The strange thing was he never used to tie his boots when he was training,” the centre-back said, cited in the Echo. Why Suarez wouldn’t tie his laces we just don’t know! It seems a pretty odd ritual to have, especially as it’s seemingly debilitating to performance. Perhaps he just found going round the likes of Wilson, Krygiakos, Christian Poulsen and the like all too easy! It’s strange how footballers of such different levels can be peers at one stage and then on completely separate stratospheres the next. Suarez is regarded as the best centre-forward in the world and is in the running for a Ballon d’Or, while Wilson was playing in the second tier of Scottish football last term. Now though, his Rangers side are trying to catch Celtic in the SPL, with their arch-rivals having a former Liverpool centre-back in Kolo Toure in the ranks also.